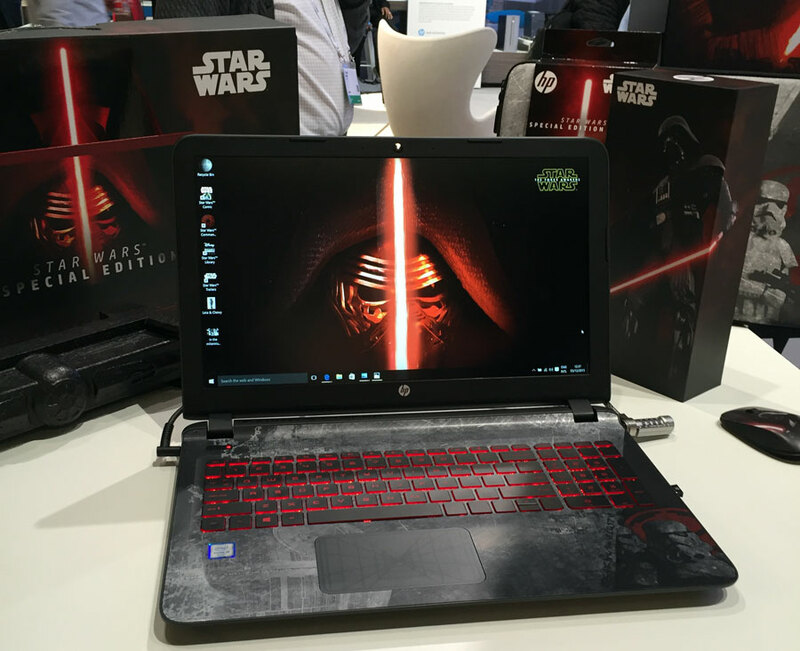 While at HPEDiscover this last week, I got to check out the HP Special Edition Star Wars Laptop. This is a 15.6 inch notebook decked out with Star Wars logos. Inside is a Core i5 or i7 processor, up to 16 GB RAM, up to 2 TB hard drive and GeForce 940 M Graphics processor. Loaded with Windows 10 Home, the PC also comes with a DVD burner, and a 7 hour battery. The laptop is also decked out with images, movie cells, storyboards and videos from the previous 6 movies. You can choose multiple sound effects for Windows events. Over 1,100 images, trailers for the new movie, and the Aurebesh font not only engraved on the laptop, but also as a font inside. Show how geeky you are by writing in Aurebesh! The base price is $699 and is only the laptop with special box for your power supply and styrofoam shaped like tie-fighters. You can also purchase the Darth Vader mouse and Stormtrooper laptop sleeve to round out this geeky gift. Finally, you get a 1 year subscription to Fandor – a independent film streaming service.